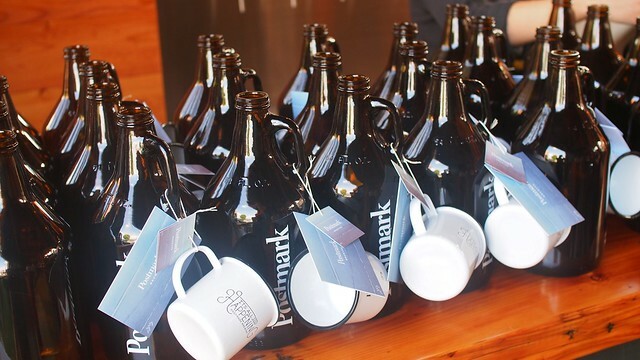 Beerfest at Postmark Brewing's grand opening in The Settlement Building in Railtown on June 17, 2014. 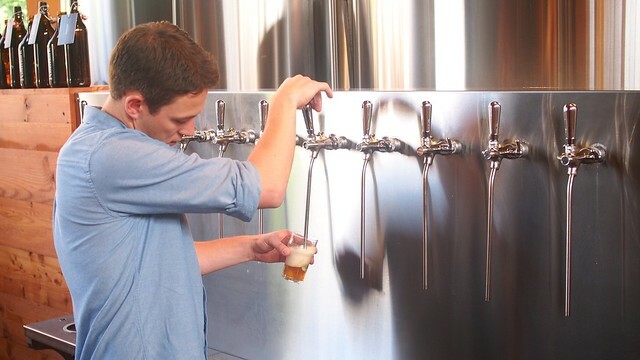 The team behind Vancouver Urban Winery, FreshTap (wine on tap), Roaring Twenties Wine Co., and the newly opened Belgard Kitchen have launched their long in the works in-house brewery, bringing the same passion and zeal for wine to craft beer at 55 Dunlevy Street with Postmark Brewing. 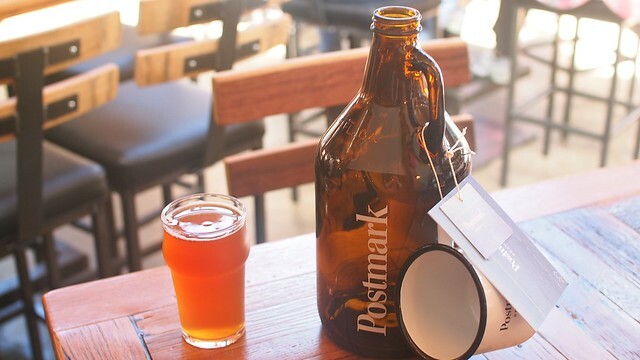 Postmark is now open and pouring two beers to start: A trademark American style citra red IPA with a stark yet smooth, easy drinking taste and a very crisp saison farmhouse ale with a nice bite and lingering spicy flavour to it. They're currently brewing and putting the finishing touches on the soon to be released offerings of a German/Czech style hybrid pilsner, a raspberry lemon hefeweizen, and a light, chocolate and coffee noted stout, all very soon with canning in the near future. 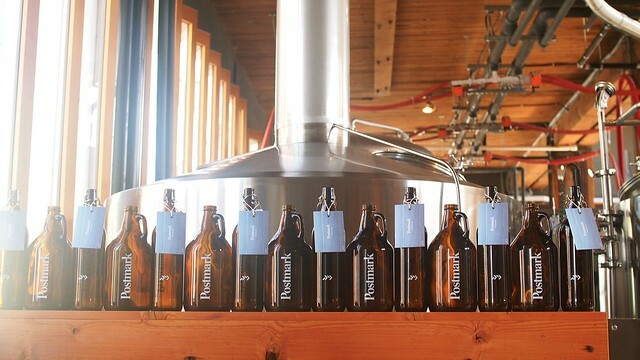 What's quite remarkable is the growler fill indoor/outdoor window setup at the building's immediate entrance. 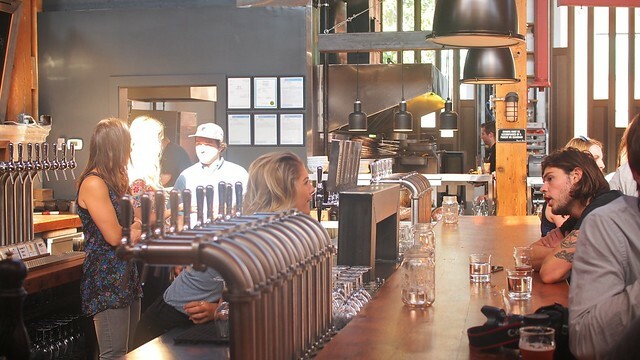 It's perfect for a quick drop-in fill and dash off in the summertime and is sure to appeal to walkers by and foot traffic from workers in the area. 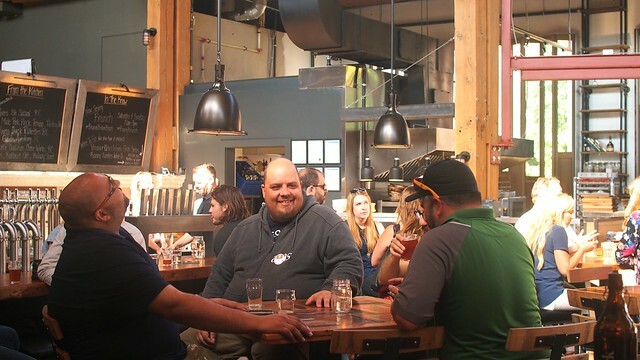 The microbrewery joins the other twenty other craft breweries in the process of opening this year pushing the BC craft beer consumption rate well over the 20% threshold it's at now, surging ever forward, adding to the local brewing boom. 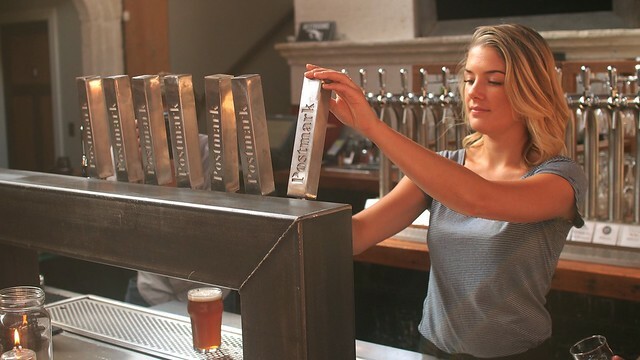 Postmark's team and operations in tandem with the winery, kitchen, and now, brewery are ambitious and energetic with the care and craft put into every aspect of design, production and execution. 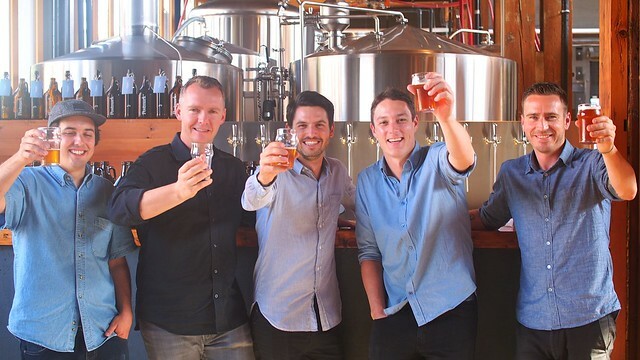 Toasting their opening were the Postmark team (below) of Jack Davidson, Belgard chef Reuben Major, founders Steve Thorp and Mike Macquisten, and Nate Rayment in almost matching attire. It's encouraging to see this step and what's next for the Settlement Building crew. Cheers.